Fake websites are increasingly used to steal personal information such as account user names and passwords and consumers are encouraged to be extra cautions about how they reach a certain website destination and be mindful of fraudulent websites. One of the ways that scammers attract visitors to their scam websites is by sending emails to potential victims with a very attractive offer message which entices victims-to-be to click on a link in the email message which takes the email recipient to the tricky website. The emails are so well designed that they appear to come from well established companies to gain trust. Once the email recipient clicks on the email link, the person is directed to the well designed site appearing as a legitimate website that visitors can relate to because they often recognize the logos. The fake site then asks for the ID, password, account number, credit card number and other information which when entered is captured at the backend by the website owners. After the information is entered by the visitor, a reply is often displayed indicating the website is down asking the user to come back later. To trick visitors, the fake site owners use a variety of magic tricks to lure victims. For example, a website link can display one thing and then do something else once clicked. 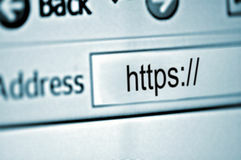 Or, they impersonate a legitimate website by hiding the website address or use browser loopholes to display fake URLs. Website visitors are encouraged to not click on links embedded within emails or websites to visit another page and instead visit a desired website by directly entering the website address. • Pay attention to the website's address. It may be different from the real address such as when it has extra characters or words. You can also right-click on a link and select "Properties" to find out more about the website destination. • Make sure your computer is free of malware such as Pharming which can take you to fake websites when you miss-type the real website address. • Make sure there is an “https://” at the beginning of the web address which indicates that the site is secure especially when it is asking for personal information. • Look for any evidence of a real-world presence such as an address, a phone number, or an email. When in doubt, call or email to see if someone responds from the other end and ask a few follow up questions. Return to the computer security page from "fake websites".